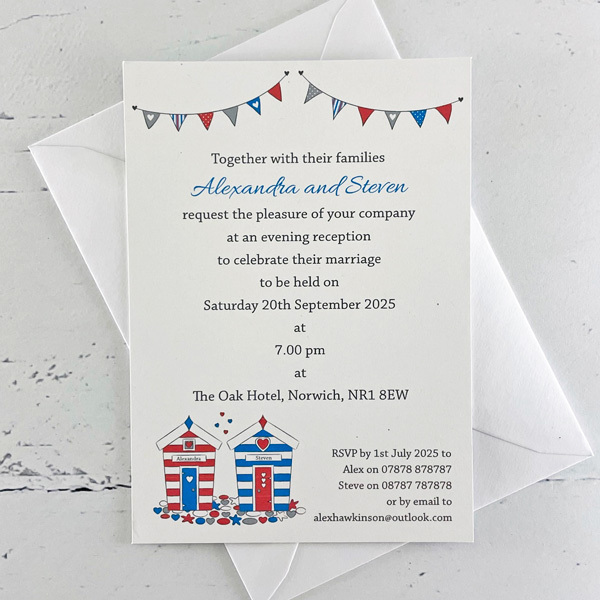 A Beach Hut seaside wedding invitation which is perfect for an evening wedding celebration, wedding anniversary or engagement celebration. 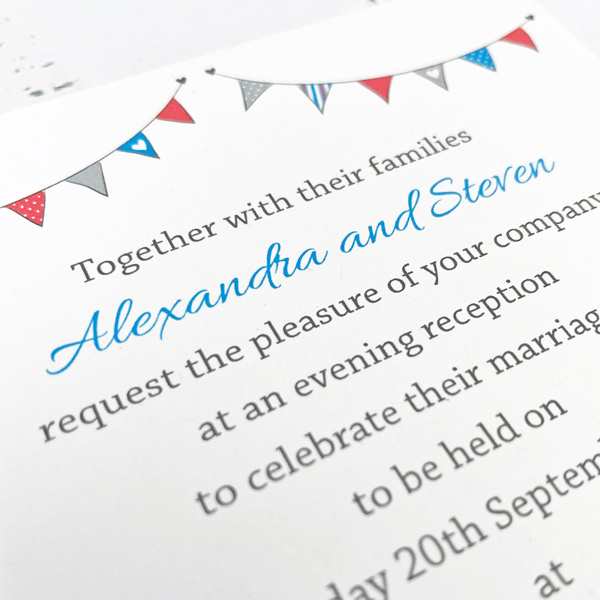 The seaside theme is well suited to a beach loving couple or event taking place at the coast. The Beach Hut design features two beach huts sitting on multi-coloured pebbles. Each beach hut has a name as the title of the beach hut. 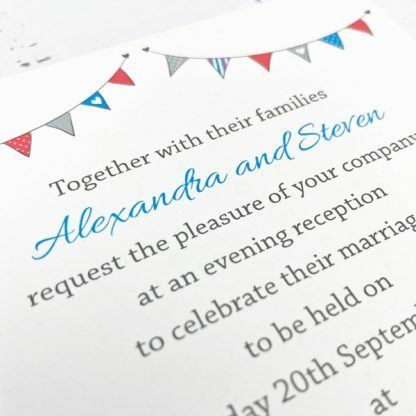 There is a row of colourful bunting across the top of the invitation. 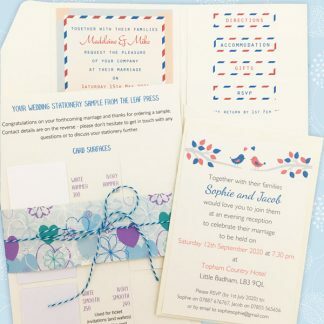 The design is based on two colours, which can be selected from the wedding stationery colours chart. 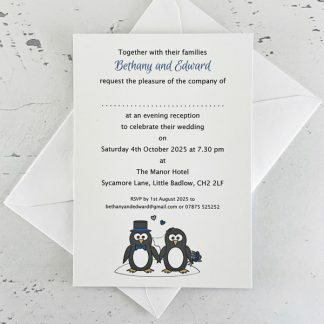 The text on the seaside wedding invitation will be laid out to suit your wording and The Leaf Press is happy to provide advice about invitation wording. 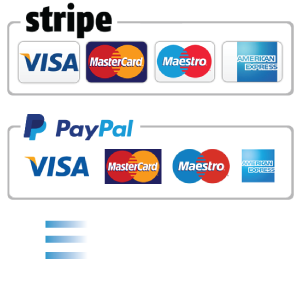 Each of these wedding reception invitations is A6 in size (10.5 x 14.8 cm) and printed on 300 gsm white or ivory card with a smooth or textured surface. They are presented with a matching white or ivory envelope. The design is printed using pigment ink, which is splash proof and smudge proof. These Beach Hut evening wedding invitations are equally suitable as an invitation for a seaside/beach themed party. If they are not to be used for a wedding or anniversary the number of hearts can be toned down! Beach Hut wedding invitations are available in a number of other formats, including booklet wedding invitations, ticket wedding invitations and larger A5 invitations with an RSVP. 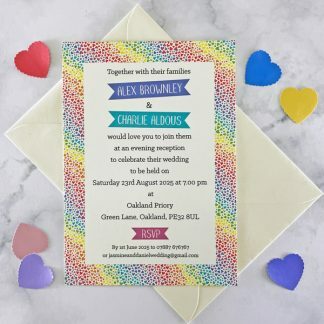 There are also stationery items to use on the wedding day including orders of service, seating plans, wedding decorations, menus, table cards, place cards and thank you cards. 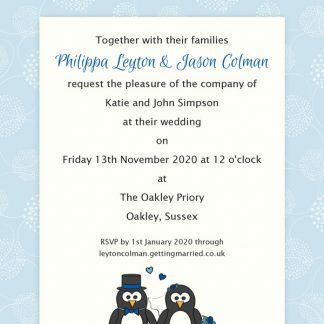 The full range can be viewed on the Beach Hut wedding stationery page.